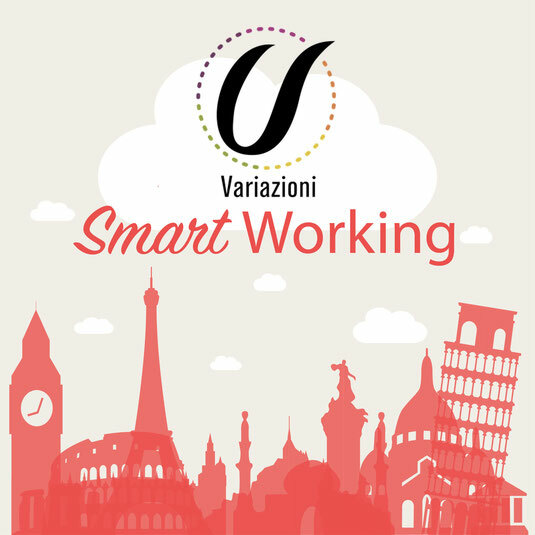 Discover all the Smart Working Project News - Benvenuti su smartworkingproject! What does Smart Working really mean? Smart Working. Everyone’s talking about it, but what does it really mean? Here are all the answers to your queries: what it entails, the referral laws, how it works, the tools and much more! It’s an innovation you must discover! Many think that Smart Working means adaptation to instruments, modernization of the layouts, setting up of home workstations or introduction of new regulations. Smart Working is not only these. It entails the undertaking of more complex organizational innovations. 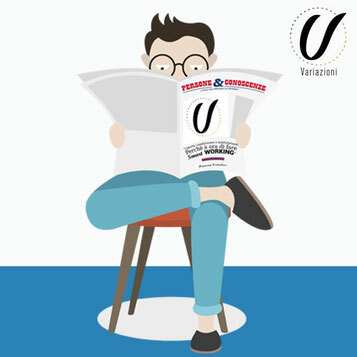 Arianna Visentini, President and Founding Partner of Variazioni, gives a detailed illustration, of Smart Working in an article for the magazine Persone&Conoscenze the voice of the HR management, and biggest magazine in Italy for all those engaged in the management of groups of people (from the General Director to the Project Manager). There is still no clear definition for Smart Working in lawful terms. Very few norms mention it and however, mostly refer to it as an organizational practice. The worker/associate can choose with greater freedom, the time and place most suitable to carry out his/her own service. C.O.R.E.™ Management may be a suitable analysis and action tool, intervening in Cultural, Organisational, Regulatory and Economic areas. Variazioni suggests six instruments that correspond to six various transitions for the implementation of Smart WORKING: Smart Index and Smart Readiness to determine when your business is ready; Smart Project and Smart Workshop to define the policy and bring the key resources onboard; and Smart Training and Smart Impact to furnish the people with smart competencies and measure the impacts of the new work mode to decide whether and how to proceed. Smart is not only technology. Smart does not only mean working from home, and it is not just changing work schedules. Smart is not a shared desk, but a new place of freedom and sharing of objectives which people choose in full awareness to improve their own satisfaction, mutually agreeing to identify the rules and instruments. These are just some of the key words, important concepts, and useful indications to choose the smart working path. On 7 and 8 November, the conference on “The impact of digitalisation on 21st century families” took place in Berlin, and was organized by COFACE – Families Europe (Confederation of Family Organisation in the European Union). It was an important opportunity for dialogue and exchange on the work-life balance topic and on the role the European Union plays, especially with regards to legislative initiatives and the promotion of these in all its member states. In the workshop, participants contemplated on the role that smart working entails, and its probable involvement today in the labour market: transitioning from the labour paradigm for work schedules to working for objectives; the positive impact on work-life balance of employees; potential decrease in female unemployment; and an increase in potential productivity. In his speech, Leonardo Orlando presented the experience of Smart Companies, and demonstrated the results achieved after six months of experimentation and the benefits that have been brought about for companies, employees and the environment. A factor that surely must be noted is that together with Leonardo Orlando, Jana Maláčová (Labour Minister and Social Affairs of the Republic of Czechoslovakia) and Jukka Ahtela (Director of the Ministry of Labour of Finland) also participated in this conference. The Czech Republic and Finland are the two nations that are about to enact legislative measures to make Smart Working part of their respective countries’ labour laws. Further evidence of its effectiveness is the fact that interest in the subject matter is as timely as ever, together with the resolution of 13 September of the European Parliament, which states that Smart Working is an important means of achieving a better balance between work and private life. From a regulatory point of view, Italy is now in its final stages of completing a clear and usable text for Smart Working: a few days ago, the Labour Bill Agile received clearance from the Senate and is now awaiting final approval from the House of Representatives in order to become a law. There are many positive results from this transalpine experience for both Variazioni Ltd and Smart Companies. The most important is probably being accredited and recognized at the European level, as a first-rate exponent on the issue of work-life balance and in a particular way, on the subject matter of Smart Working. Leonardo Orlando said: "The conference was an excellent opportunity to present the Smart Companies experience of some of Bergamo’s companies, which was highly appreciated by the representatives of the other countries involved. We explained how Smart Working has proven to be an effective way of not only improving the quality of life of our employees but also improving business performance. We also confirmed our willingness to dialogue with other European companies and networks, to give them a more in-depth explanation of the great job we are doing within a sizable network and sharing". Arianna Visentini commented: "It is always good for us to confront international situations and discover that the experiences we recount are appreciated. ‘The impact of digitalisation on 21st century families’ conference, organized by the COFACE – Families Europe with whom Variazioni Ltd has collaborated for many years, has become a good opportunity to reflect on how to build an alliance between families and companies that can benefit both. Without a doubt Smart Working, especially if implemented in the public and private sectors, is a win-win solution that should be given incentives and stimulated by public/government policies and, therefore, must be kept in the minds of European and national decision makers”. A Smart Working workshop was held on 28 September in Warsaw, promoted by Mikomax Smart Office in collaboration with Variazioni Srl (in the role of project facilitator) and Wiewirsóki Law Firm. The attendees were IBM, GSK (GlaxoSmithKline), Luxoft, Roche and Transition Technologies, that are all members of the ABSL network (Association of Business Service Leaders in Poland), an organization that represents the business services sector in Poland. The meeting’s objective was to develop reflection and confrontation between the participants on the possibility of implementing Smart Working in Poland, and understand the benefits of this new work procedure and the many opportunities that may arise from its development, in a common effort on the part of a chain of companies. Before the opening of the event all the participating companies filled out our Smart Working Index questionnaire, the tool that gives an indication as to how ready a company is for the implementation of the Smart Working concept. Variazioni started the morning session by tracing a picture of the demographic, social and economic situation in Italy and Europe, starting from the definition of the welfare state and its current crisis, up to the increasingly important role of the second welfare, with focus on the role that businesses can assume at this point. The succeeding step was to present the Italian norms used today to promote Smart Working, highlighting how the companies for some years now, have implemented this new work mode even in the absence of a true and proper disciplinary measure. Lastly, an in-depth study took place, on the contents of the Flexible Work Bill and the resolution of the European Parliament of 13 September 2016 that focuses on the right to the reconcilement of life-work and pointed out Smart Working as one of the tools that can warranty this vital right (we expounded on this here). Then our professionals, cutting across the normative and organisational aspects, first developed a birds’-eye view on what Smart Working is for Variazioni and presented the C.O.R.E. method. Later they shared with the participants the results of the quarterly experiments of the Smart Companies as a benchmark to help others understand the added value that can generate the policy and know-how sharing chain between the companies. In the afternoon, discussion focused on the Smart Working implementation process in a company, through the Variazioni method: the use of guide-posters and identification tabs of the relevant commitments in the four areas of the C.O.R.E. system (Cultural, Organisational, Regulatory, Economic). The companies were able to reflect on how to organize the various steps, and carry out at best the Smart Working implementation process. As Variazioni’s Arianna Visentini said: "the workshop was an important occasion to compare the Polish and Italian frameworks, that were seen to be really not too dissimilar. Generally, the European companies need clear and simple regulatory frameworks without resulting in reduced security. However, there is also need for reliable tools and guidance to make the change processes effective and satisfactory for the companies and their workers." Also the EU says that flexible work is indispensable to achieve greater balance and productivity. With the resolution of 13 September 2016, regarding the creation of favourable labour market conditions that would be beneficial for the equilibrium between the private and professional lives of workers, the European Parliament highlighted the important role of work-life balance for the European Union. The most important part of the resolution is found in the General principles wherein, in point 2, it is underlined how the reconciliation of professional, private and family life must be ensured as a fundamental right of everyone, in the spirit of the European Union’s Charter, with measures available to every individual. The European Parliament proceeds by asking that such a right be a fundamental objective of the social systems, inviting both the EU and the single Member States to promote Corporate Welfare (both in the public and private sectors) that can concretely implement the life- work balance. An express request was then made to the Commission (point 33) for the drafting of a directive that would provide obligatory paternity/maternity leaves of the minimum duration of two weeks with full pay. With foresight and attentive vision, the Parliament then underlined (point 47) that, in the light of the differences in the personal and family situations of each worker, the employees should have the possibility to avail of flexible work schedules so as to adapt them to the specific phases of life, giving the possibility to workers, employers and employees to freely make the most suitable work arrangements. Among such tools identified by the European Parliament for the implementation of greater reconciliation between work and family life is that of Flexible Working Time. In the resolution, the European Parliament hopes that it will be diffused as a new work ogranisation procedure, and prods the single Member States to formulate regulations that will avoid the risk of additional charges for the workers, foreseeing the observance of the maximum limit of daily and weekly work hours provided by law, and the national collective employment contracts. To conclude, we can affirm that we absolutely agree with the position of the European Parliament and hope that the European Commission works to approve a directive that could give effect to the aforesaid. 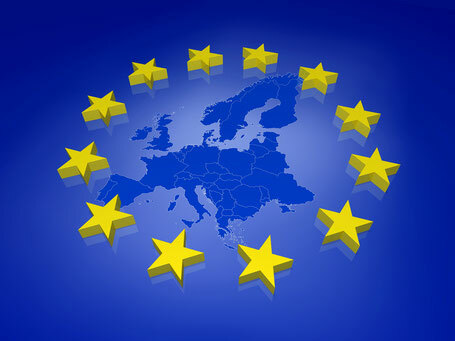 Besides this very important norm, time will be needed to promote greater awareness and education on this theme and the cooperation of the companies and the Trade Unions in implementing these new tools, so as to reach the European Union’s ambitious goal: acknowledgement of and respect for the right to balance life and work. 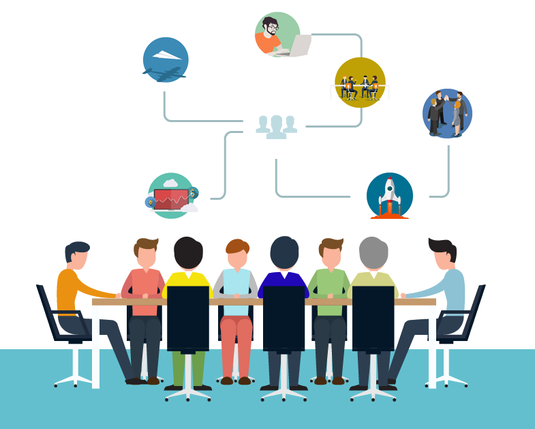 Smart Working, well known as Agile Working or Flexible Working, is continuing its overwhelming run in the future of work, despite it is not well defined from a regulative perspective. This fast coverage happens, in most cases, due to the approval, both from managers and employees. In fact, Smart Working permits to reach a wide range of positive results, such as: welfare improvement, an increase in work-life balance and productivity. The process to shape and implement this organizational change should not be taken for granted. Thus, it is strongly recommended to analyze the status quo, the competences and the specific instruments needed to achieve the desired success. To make tangible what was argued above we would like to introduce the experience of a company, Banco Popolare, who with Variazioni has had the pleasure to support the Smart Working journey. Banco Popolare is one of the leading banking groups in Italy, with over 17,000 employees and 1,800 branches in the area. In January 2015, as part of the Human Resources Department, it was created the Office for Equal Opportunities and Work Life Balance. Responsible for the latter is Dr. Barbara Marin who has personally followed the Smart Working project. Where the Smart Working interest has started? The social and economic transformations - such as the upside down of the demographic pyramid, the job security, the greater instability of families and the continued reduction of public expenditure in terms of welfare - have led to the crisis of social protection models. The employees' reward practices are reinventing themselves: besides to the monetary wage is catching on the "social wage". The latter includes intangible factors, which lead to a clear well-being improvement. Companies can thus help to address the new and old social needs by rewarding employees with a wide range of personal services and support services for their families to improve and sustain the conciliation between work and private life. The awareness of all these reasons has led Banco Popolare to make a strategic and innovative choice to strengthen welfare solutions, by realizing activities for their employees' well-being, according to a concept of welfare development: Welfare 2.0. For this purpose an important initiative was put in practice: the realization of a Smart Working solution. This initiative has implied a new organizational model: work becomes untied from physical presence in the office. Moreover, work becomes based on concepts of autonomy, trust, accountability and this approach creates clear benefits for people, for the company and for the environment. To realize this project Banco Popolare has also chosen to join the Smart Companies, a network made by 6 companies based in Bergamo. For the first time in Italy was launched a shared Smart Working experimentation, carrying multiple benefits. In particular, the first element of interest while introducing Smart Working is the inclination of the top management to innovative practices. Moreover, it should be stressed the foresight capability of the group with respect to two main topic. First of all, Smart Working had not (and still has not) a relevant legislation. Secondly, in a sector such as banking is not easy to realize this practice. In fact, there is a relevant level of criticality linked to cyber security, with respect client's data. In regard to this, Barbara Marin has stated: "Smart Working allows concrete to improve the quality of the employees' life in several vantage point: more time for themselves and their families, for their hobbies, a reduction in mobility costs, substantial decrease in stress and fatigue, cost savings, more comfortable working environment, higher concentration, a possibility for nutrition care. People make a company's success and the people who are at ease in the company are also more motivated and often more productive. When people perceive that the attention towards them is always alive, it is the best way to enhance their potential and to increase the employees' engagement. Last but not least, it reduces the environmental impact caused by commuting. " As mentioned above, the Smart Working strategy implementation cannot be improvised, because the risks of getting adverse effects, with respect to the expected ones, should not be underestimated. This may happens because the Smart Working introduction in the company means adopting new ways of organizing the working times and spaces. Suffice it to say, a manager, or a working-group team leader, used to communicate directly, face-to-face with his staff every day in the company. On the other hand it may be presented an employee, which live the office as a single workplace in his modus operandi. It is clear how is necessary to guide with your hand this process, in a structured path, both for managers and for future smart worker so that they can fully understand the opportunities and risks of the Smart Working and thus, getting the full potential from this experience. Smart Working Training is a useful tool to interact with the Smart Working by promoting the awareness in the managers and the future smart workers. Variazioni defines it as an enabler of soft skills consistent with the Smart Working introduction in the company and thus the organizational changes. The various training programs are designed differently in relation to the organizational needs, as well as the roles or business sectors. In fact, different paths were implemented for different targets of smart workers - the people directly involved in the testing of this new way of working - as well as for managers of smart workers. In particular, the latter are called to put in place new leadership styles that can activate motivational stimuli among colleagues, the skills needed to deal with distance cooperation, goal setting and working by objectives, the ability to induce a correct adoption of available technologies as well as to master the performance evaluation tools. In Banco Popolare, Smart Working Training has been a key element for the success of the project, and it was considered as a fundamental step for the actors' participation in the experimentation. To go more into details, there were realised days of classroom training for smart worker and their manager that allowed to introduce the new smart business logic, to deepen remote usage instruments and to learn all the fundamental aspects regarding organizational safety. Managers' training has consisted in the reorganization of the key assets and activities by objectives and the important topics of shared trust and delegation. On the other hand, smart workers have instead been trained about autonomy and the sense of responsibility to achieve results. "The culture - corporate values, communication, information, training and development especially - sets the foundation for the organizational change in the long run, especially when it is redesigned a new way of working which breaks the traditional paradigms of hierarchy and control given by the constant and physical presence in the office. " said Barbara Marin. 18 working days were gained in terms of time saved. Barbara Marin commented on the Smart Impact Survey results: "The experimentation has amply demonstrated the goodness of the Smart Working model in Banco Popolare, it has allowed us to acquire the necessary know-how and to map the activities consistent with remote working. Our future goal is to make the Smart Working a management tool available to all our employees". In Italy, Smart Working (flexi time work) is becoming a widespread reality especially in the big companies. This was seen in the Smart Working Observatory’s survey on the Polytechnic Institute of Milan, presented last 12 October in Milan and which involved 229 managers and 1,004 workers. 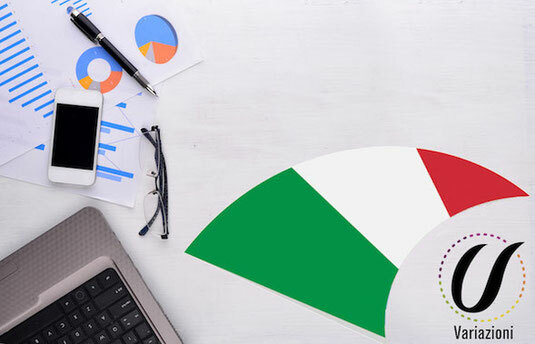 According to the Observatory, the total number of smart workers in Italy is 250,000 (7% of the total number of clerks, managers and directors) and in three years the number of employees who performed their jobs under “flexi time” modes had grown by 40%. Regarding the companies: 30% of the big companies implemented structural Smart Working, and projects increased by 17%, compared to last year. The smart workers involved in the survey declared to be satisfied with the new job design because it gave them greater possibility to balance their professional and personal lives: four out of ten smart workers declared to be enthusiastic about their own work; and 35% said they were very satisfied with the organization of their time. The effects perceived by the smart workers were also positive with respect to their own performance and ability to innovate their own team: over a third of the sample felt that they contributed actively and positively to the creation of a good corporate atmosphere, and more than 40% declared to be enthusiastic about their own jobs. The data that thus emerged from the Observatory’s survey confirmed that smart working is constantly consolidating in Italy, absolutely in line with the data that emerged from our experiments, especially in that developed with Smart Companies in which there were 1,000 smart workers (69% men and 31% women), with 6,540 flexible jobs effected. In that case, 75% of the smart workers declared to have seen an improvement in the balance between their private and professional lives: the smart worker gained a mean of 113 hours for their private lives, with a savings of € 130 in six months between expenses for transfers and other expenses. In the light of the data obtained, and with the Flexible Work Bill, on which parliamentary discussion is about to end, the future of smart working seems to be more than positive. The critical factors evidenced also by the Observatory’s survey, is seen above all for the Medium and Small Enterprises (MSE) and for Public Administration (PA). In fact, only 5% of the MSE of the sample started up a smart working process. In this case, the obstacles were cultural and organisational in nature, but surely not insurmountable. The normative framework which flexible work will soon have will thus confirm and strengthen the trend which is growing in our big companies, and stimulate the adoption of this new work organisation method in the MSEs and the PA.